A major factor in curb appeal is the appearance of your roof. Is the color of your roof faded? You don’t need to pay for a new roof. 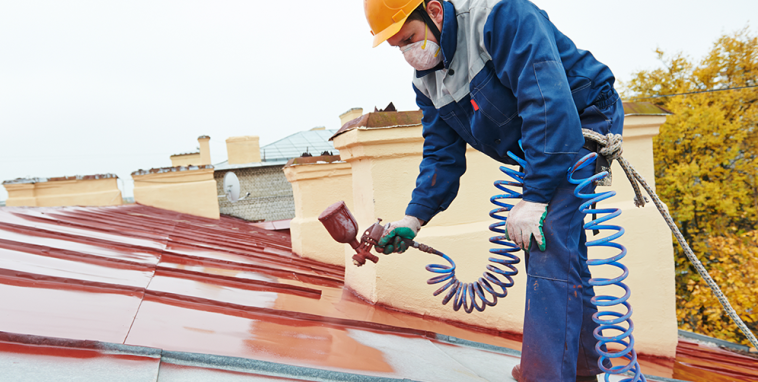 Dubai Repairs can restore your roof to its original color, or even change the color. Roof Painting Service will make new in the color of your roof, or you can fully change the color of your roof and fully restore its waterproofing integrity, for a fraction of the cost of a new roof. 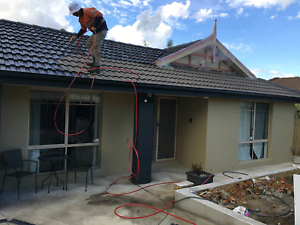 Dubai Repairs unique tile roof painting restoration process can be performed on virtually any tile roofing system you may have. It is a very cheap and cost effective different to roof replacement. Dubai Repairs unique cleaning and coating process is effective on faded, stained or weather damaged roofing tile, shingle or metal and can be used to change the entire color of your roof or match the existing color. Thorough cleaning is required. This is the beginning step in the Roof Painting Service regardless of the type of roofing system you may have. Built up dirt, algae, moss, mold and other foreign matter must be removed. We are environmentally conscious, and as an option, we can provide Eco-friendly cleaning solutions for your project that will not harm your home, your landscaping, your pets, you or your family. When the cleaning is completed, the roof is ready to accept a deep, penetrating primer & coating application. For the tile roof paint restoration coating process, Dubai Repairs only use the best products available from the nation’s top paint manufacturers to paint your roof. Premium product formulation is UV and alkali resistant, and won’t chalk, crack or peel from a properly prepared surface. Great for Tile, Metal and Asphalt Shingles. We paint the entire roof system, mortar under your trim, all metal pipe flashings, birds stop at the eaves and hand paint the trim that adjoins your fascia boards. Dubai Repairs can match almost any roof color or you can choose a custom color and we always coat a sample tile for your approval before we start the job. In the event you need to move, our Tile Roof Painting Restoration Warranty offers a full-10 year warranty from the date of application and is transferable to new owners for the remainder of the warranty.